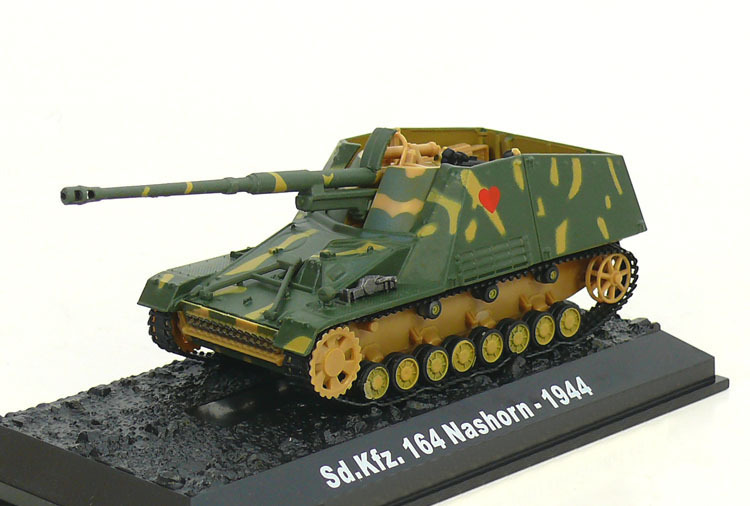 Nashorn (German "rhinoceros", pronounced Nahz-horn), initially known as Hornisse (German "hornet"), was a German tank destroyer of World War II. 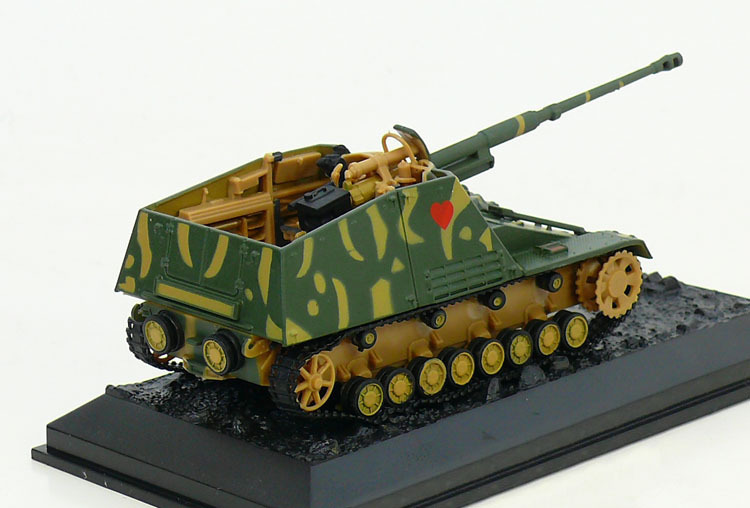 It was developed as an interim solution in 1942 by equipping a light turretless chassis with the Pak 43 heavy anti-tank gun. 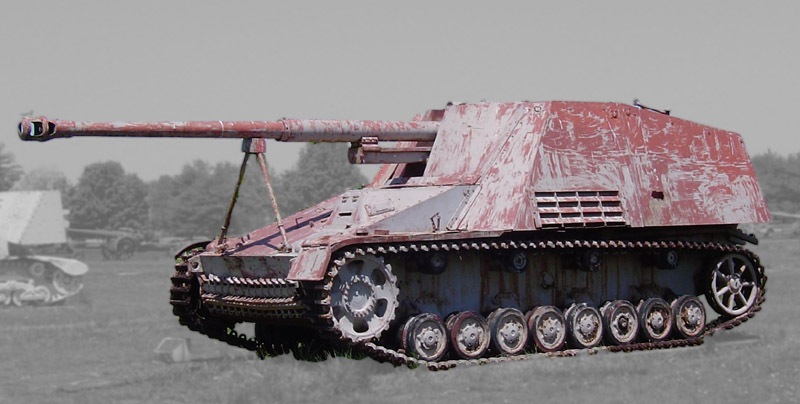 Though only lightly armoured and displaying a high profile, it could frontally penetrate any Allied tank at long range, and its relatively low cost and superior mobility to heavier vehicles ensured it remained in production until the war's end.